I draw the webcomic Green & Gold. I like drawing boys with hoodies. 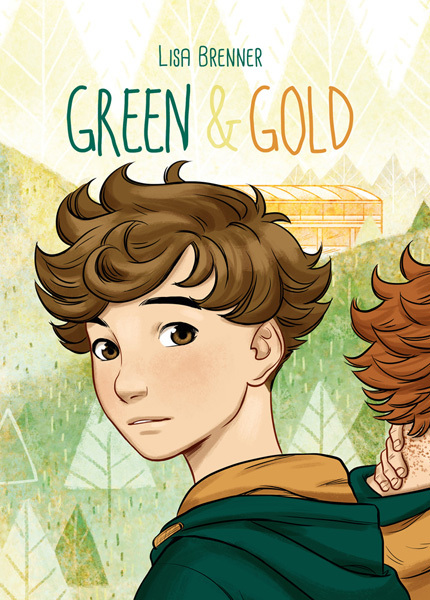 Green&Gold Chapter 4 final pages: one page MO - FR, 6 PM (MEZ) ($5 tier). New sketches of different stories: random days at 5 PM (MEZ) whenever possible ($3-tier and upward). I'm currently mostly illustrating children's books for a living (which is amazing). I also did the storyboard for the upcoming Anna Blue comic and work on smaller things with the Anna-team. So … drawing children's book is a dream job, why do I need your money? By sharing your money with me, I'll be able to reduce doing jobs for clients and make more (paid) time for working on comics! Thank you very much for any support! unseen sketches, WIPS, closeups from bigger panels, etc. ♥ early access to comic thumbnails - G&G Chapter 4 is on!